So, you decided to move your company’s IT into the cloud. Congratulations. You’ve made a choice that can give you more economical service, safer backup and far better remote access than keeping everything on your local server. But you may still be feeling a little nervous about cloud management. 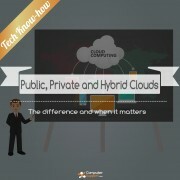 How do you keep sensitive information safe in the cloud? Will your backup and compliance systems work the way they should? If you use both public and private clouds, how will you get your systems to communicate properly without making a lot of extra work for your staff? How do you avoid outages? Fortunately, there’s a whole branch of cloud computing devoted to handling these questions. Cloud management companies, including RightScale, Ylastic and Amazon’s AWS Management Console, promise to give you control over everything you keep on a remote server through a single, simple interface. For the most part, these companies, along with other cloud management competitors like enStratus and Kaavo, allow users to bring together systems from a variety of public and private cloud providers. Each firm has its own set of providers that it can be integrated with. 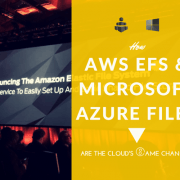 If you use a popular cloud provider like Amazon’s EC2 or Rackspace on the public side, or Eucalyptus’s private platform, you’re probably all set no matter which company you go with. If you’re using something slightly less common, or if you want more flexibility to switch to a different sort of cloud, you’ll want to make sure your cloud management vendor can deliver that. As with most technology solutions, you’ll also want to take a good inventory of your needs before you go shopping for a cloud management solution. Is ease of use at the top of your mind? Have complicated industry compliance issues to consider? 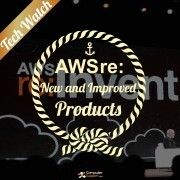 Anticipate major expansion in your use of the cloud over the next couple of years? These are questions you’ll want to write down and perhaps discuss with your IT management company as you take your first steps into the cloud. AWS' Epic Disclosure of Its Financials - What Does It Mean to SMBs? What can Best Buy do? 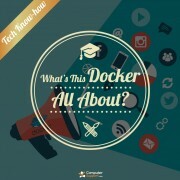 What’s This Docker All About? Free Stuff: Microsoft’s Upgrade Offer Is Apple’s iPad mini good for business?